Kind-hearted Red Riding Hood sets off into the forest to bring food to her sick grandmother. But is that creature lying in the bed really Grandma? A favourite fairy tale is retold for starter readers in this charming Read It Yourself book, which combines simple everyday words with beautiful pictures to support children and capture their attention. 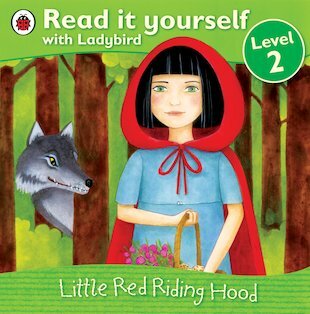 Perfect for building confidence, the book includes puzzle questions to check comprehension, and belongs to Level 2 of the scheme, for those who can read easy sentences with adult help.